In a twist befitting some hypothetical filmmaker who is known for manufacturing clever twists, the Tales From The Crypt reboot that M. Night Shyamalan was working on a few years ago is officially dead, and it’s all for a spookily mundane reason. The reboot was in the works at TNT and actually got as far as having a teaser trailer, but then the network quietly dropped the project after some legal issues popped up—much like how the Cryptkeeper might pop his head up out of a scary tomb! Speaking with Digital Spy recently, Shyamalan confirmed that those legal issues really did kill his Tales From The Crypt reboot, explaining that it was “mired in people that had rights to it.” Doing the reboot would’ve required the support of whoever owns the rights to the original EC Comics stories and the old HBO Tales From The Crypt show (which was produced by Warner Bros.), that means at least three parties on top of Shyamalan and TNT, and it never got to the point where everybody was willing to play ball. “I begged them,” Shyamalan explained, saying that he promised he’d do the show in a way that would make everybody “really happy,” but nobody was willing to budge. 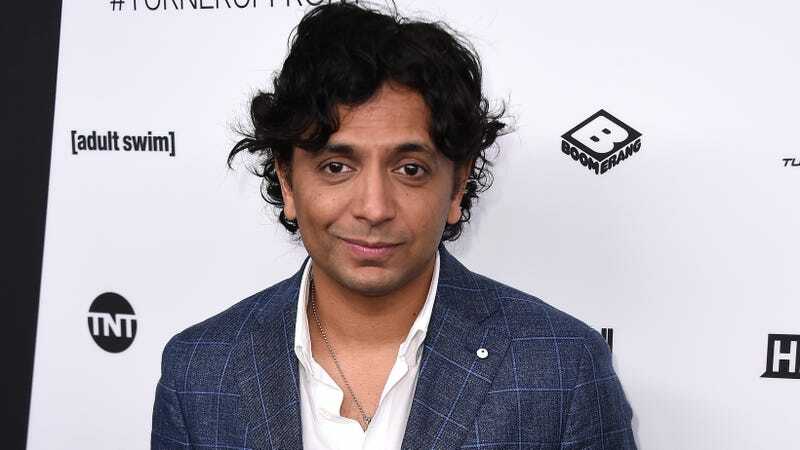 Shyamalan also noted that the issues come from a “very contentious era” surrounding the old show, with agreements and disagreements that had nothing to do with him but “a generation before” him. So yeah, the Cryptkeeper might not be coming back ever, which is at least good news for the boils and girls who can’t stand those ghastly puns. Recommended... gories? I don't know.